Before I bought the pump, I was having technical discussions with Brent Clow who was a technical director for Aeromotive. Looking at my old e-mail correspondence with him I never directly asked about limited street duty but I was asking about more flow data because I was on the fence with the Holley pumps. Below is a quote from one of my e-mails with regards to voltage and pump output and then speed control. "I’ve no hard flow data at 18 volts, but the performance increase will be linear with voltage and the 5.0 Brushless pump outperforms the twin TI pumps Holley uses at any voltage. For example, at 13.8 Volts, with both TI pumps on at full speed the combined flow appears to be 240 GPH (or slightly less) at 70 PSI. 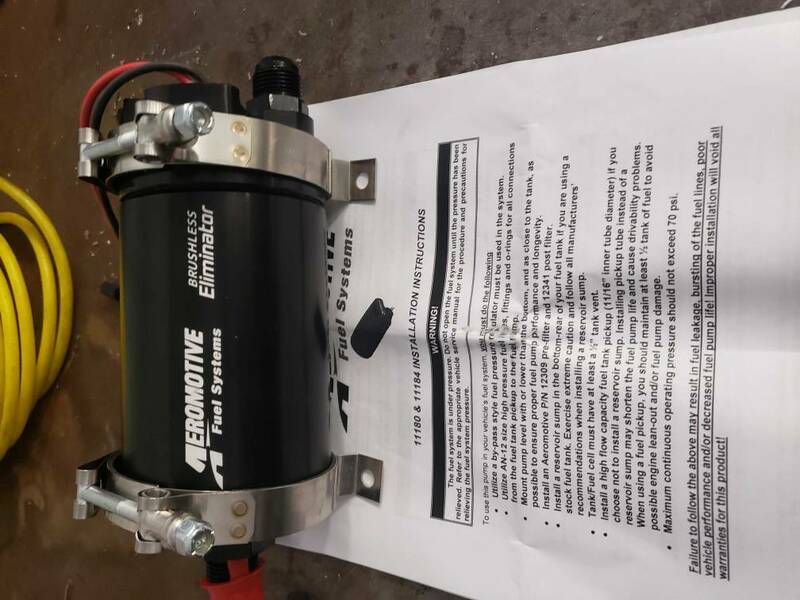 The Aeromotive 5.0 pump is running 282 GPH at 70-PSI and 13.5 volts. The Holley pair is 85% of the single Aeromotive pump. Looking at 18.5 volts the Holley goes up to roughly 345 GPH. The percent gain is 30%. Take the Aeromotive flow of 282 and add 30% and you’re at 403 GPH at 70 PSI and 18.5 volts. " I also had questions with regards to speed control. "The brushless gear pumps are not presently able to be speed controlled. This is something that will likely be developed in the future, but they should be pretty stable without speed control. There’s definitely more flow available from the new 5.0 Gear Pump compared to anything else on the market." What pump has a max pressure of 70? The 3.5 and 5.0 show up to 90psi continuous. I didnt look at the eliminator. I am looking for something to rum M1. And I dont think a 2345 Weldon will be enough. I think my 2035 is almost done on e85.